A blind can be divided into two types. The first is soft blind, such as roman blind and london blind. 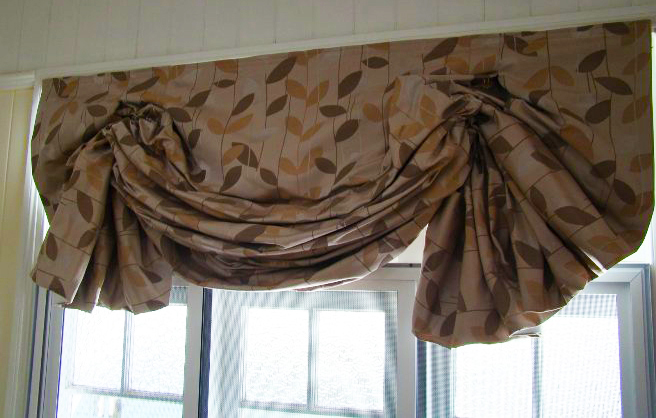 The soft blind can be made at home using a variety of fabrics. The second type of blind is blind hard, such as rolls blind and venetian blind. 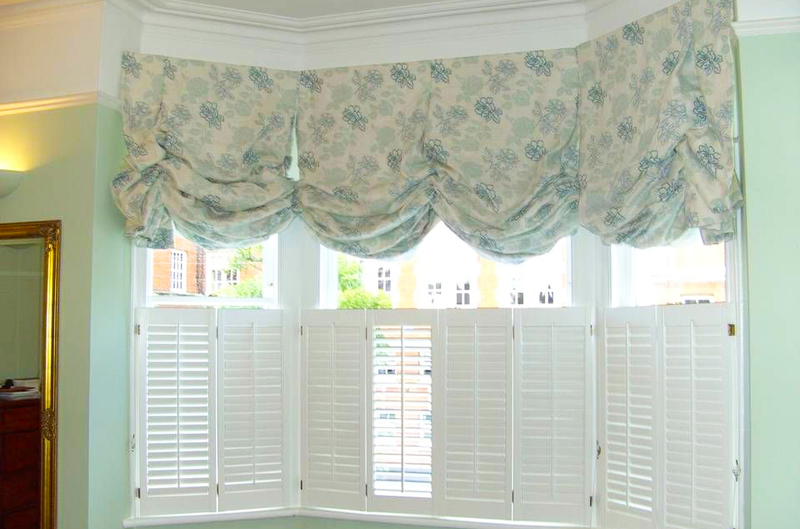 Blind hard usually must be ordered from the factory specialists or buy-finished in-store decorations. In this article, will discuss how to make diy london blind. 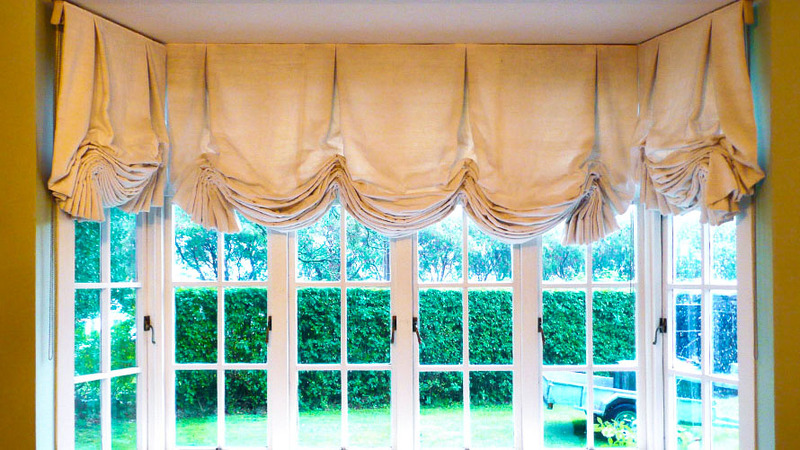 Blinds of this type have a soft folds, which is more casual than roman blind are very formal. 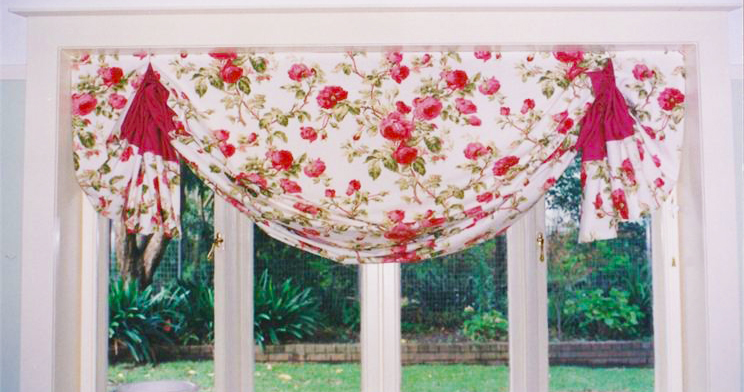 London blind look very attractive especially if the patterned is beautiful flowers or made of thin pual. In the making of diy london blind, the measurement error is not a problem, compared with the roman blind. London blind can be inserted into the back window although its size is not correct. Measure like measuring roman blinds. 1. Add 6 cm at the end width for the folds, and 50 cm longer for the reverse folds. Add 35 cm in blind length for the folds so that the blind will still be good when dangling although the blind is fully lowered. Cut your material according to the size. 2. Cut the furing with same length as the face fabric and reduced the width 10 cm. Expand face fabric over furing with the outside of fabric facing each other and the top and bottom edges are equally. Embed the left seam with the flat edges and create a seam 1.5 cm from the edges with a sewing machine. Repeat on the right seam. Turn the inner fabric to out and ironing the seams until flat in such like that, so the face fabric in within same look on each side at the back. Fold the fabric 5 cm to the back (towards furing) throughout lower end and iron. Fold again as wide as 5 cm and irons again. Fold again as wide as 5 cm and irons again. Sew near folds with the machine. 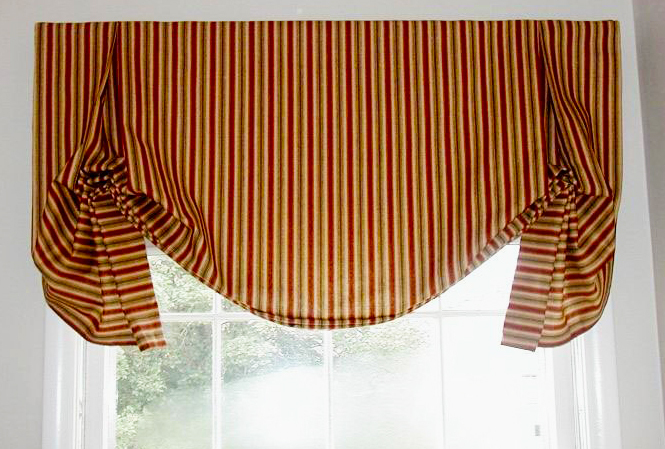 Use extra fabric at the top to make two inverted folds, which is located approximately one-quarter and three-quarters of the width of the blind. Sew with a machine so that the folds does not shift. Sew the rings in the middle of the back, each folds inverted and the distance is approximately 15 cm, insert the rope into the rings as is done in roman blind (see article). Fold the top of the blind 5 cm on battens and install with a small nail or staple gun. Install the batten and cleats to the wall or window frame like a roman blind.